When will be Murder, Mystery and My Family next episode air date? Is Murder, Mystery and My Family renewed or cancelled? Where to countdown Murder, Mystery and My Family air dates? 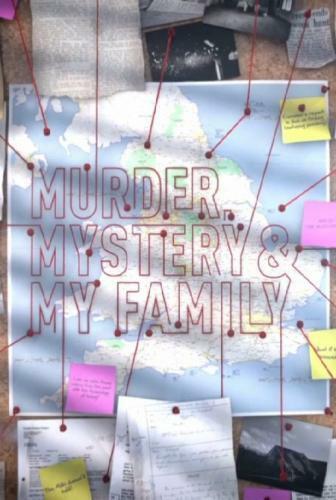 Is Murder, Mystery and My Family worth watching? Two of the UK's top criminal barristers, Sasha Wass and Jeremy Dein, explore historical murders where the convicted went to the gallows pleading their innocence.Investigating cases which bear all the hallmarks of a miscarriage of justice, they join forces with a living member of the convicted criminal's family and a variety of specialist experts to re-examine the crime, evidence and trial. Barristers Sasha and Jeremy look back at the questionable case against Alfred Moore. They find that Moore's daughter is now more determined than ever to clear her father's name. Barristers Jeremy and Sasha revisit a rural case of murder and moonlighting in Ireland in 1894 and discover that the convicted man's relatives are hoping for an official pardon. Murder, Mystery and My Family next episode air date provides TVMaze for you. EpisoDate.com is your TV show guide to Countdown Murder, Mystery and My Family Episode Air Dates and to stay in touch with Murder, Mystery and My Family next episode Air Date and your others favorite TV Shows. Add the shows you like to a "Watchlist" and let the site take it from there.